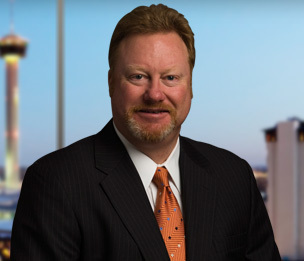 Patrick Huffstickler advises clients on a wide range of bankruptcy, landlord/tenant, Uniform Commercial Code (UCC), and other commercial litigation matters. He provides counsel on issues related to the commercial real estate industry, including ongoing representation of commercial landlords and tenants of retail malls and shopping centers in national, regional and local bankruptcy cases. His bankruptcy and restructuring experience also spans many other industries, including technology, financial services and aviation. Counsel to a trust formed pursuant to the plan of reorganization confirmed in bankruptcy cases of TXCO Resources Inc., a mid-size exploration and production company. Dykema assisted in the liquidation of the trust’s assets, including the sale of oil and gas properties located in multiple states. The liquidation resulted in a $17,500,000 payment to former holders of equity in TXCO and a multi-million dollar return to the beneficiary of the trust. Counsel to an exploration and production company who were Debtors in their chapter jointly administered 11 bankruptcy cases. Dykema began to assist TXCO’s management in negotiations with their lenders beginning in March 2009. Once a commitment for post-petition financing was obtained in an amount sufficient to avoid the need for immediate liquidation, chapter 11 was filed on May 17, 2009. Dykema played an instrumental role throughout the bankruptcy case, including obtaining approval of the $32,000,000 in debtor-in-possession financing over numerous objections, putting in place a sale process, introducing potential purchasers, and ultimately negotiating the terms of a sale for approximately $310,000,000 of significantly all of the assets of debtors, which provided for the payment in full of the creditors’ claims with interest and a multi-million dollar return to equity. Lead counsel for emerging technology venture fund which was the primary creditor in a chapter 11 bankruptcy case of a specialized candle and gift company in Austin, Texas. Counsel for official committees of unsecured creditors in national and regional bankruptcy cases. Counsel for the chapter 11 trustee in a national e-commerce bankruptcy case in Austin, Texas. Bankruptcy counsel for several publicly traded retail chains. Ongoing representation of commercial landlords, including retail malls and shopping centers, in national, regional and local bankruptcy cases. Representation of debtor tenants and other parties regarding real estate lease issues in significant, complex chapter 11 bankruptcy cases. Experience includes representation in chapter 11 reorganizations of a regional discount retailer with 48 store leases and a national mall-based retailer with 711 store leases, including assumption/rejection, modification and claims issues. Representation of a computer maintenance and repair company in its chapter 11 case involving 80 real property leases. Representation of home health agencies, including debt restructuring through chapter 11 and negotiations with the Department of Health and Human Services regarding Medicare overpayments and other matters. Ongoing representation of full-service video production company and other media clients. Debt restructuring through chapter 11 reorganizations of several limited partnerships owning apartment complexes and handling of landlord/tenant issues related to the tenant leases. Representation of commercial landlords in the termination and modification of real property leases, including negotiating and drafting termination and modification agreements, in both bankruptcy and non-bankruptcy matters. Representation of various clients regarding personal property and sales tax matters.